I think it’s partly because it involves eggs and the fact that it’s in a pie crust. But the pie crust does add extra calories and most quiche recipes have a lot of fat in them. So, do I have the solution for you! I received this recipe in the mail with my monthly Weight Watchers membership card. 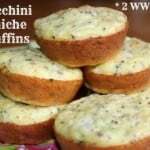 These are so good, I’d make these muffins whether I was on Weight Watchers or not. Some people aren’t crazy about zucchini. But I personally like it. 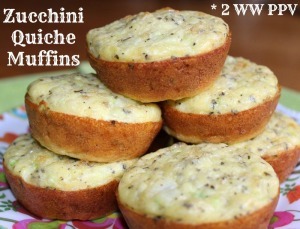 To be honest though, you really don’t taste the zucchini in these muffins. 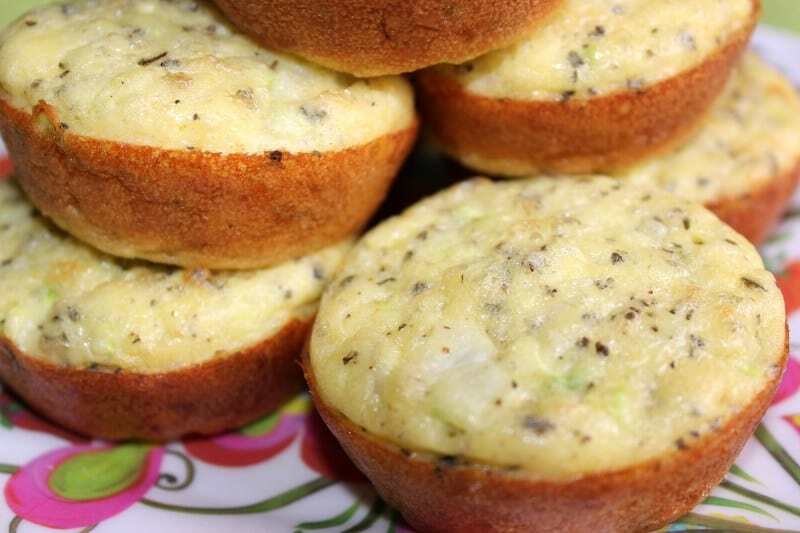 So if you want to sneak in some veggies to your loved ones with these muffins, they will never know the difference. 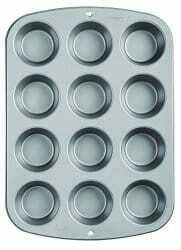 If you’re looking for a good, inexpensive muffin pan, look no further than Amazon. Here’s a Wilton Recipe Right Nonstick 12 cup Regular Muffin Pan. With 1,529 reviews at 4 1/2 stars (as of this writing), you know it’s a good pan. Preheat oven to 375 degrees. 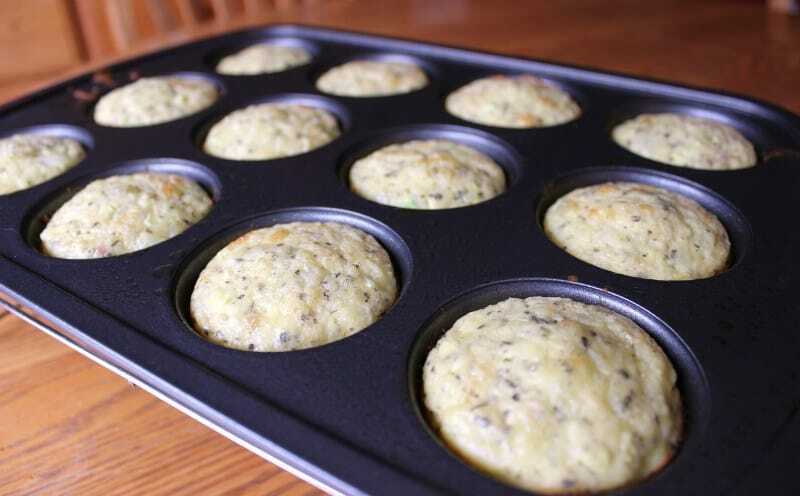 Coat two 12-hole nonstick muffin pans with cooking spray 9 or use just one pan and cook in two batches. Combine all ingredients in a large bowl; spoon about 2 heaping tablespoons egg mixture into each prepared hole, making sure to stir mixture after filling each one. Bake until bottoms are golden brown and quiche are cooked through, about 15 minutes. Remove pan(s) from oven and let quiche cool for a few minutes in pan(s); remove quiche to a wire rack to cool more (and repeat with remaining ingredients if necessary). Yields 1 quiche per serving. These muffins were absolute heaven! They’re hearty and hit the spot. 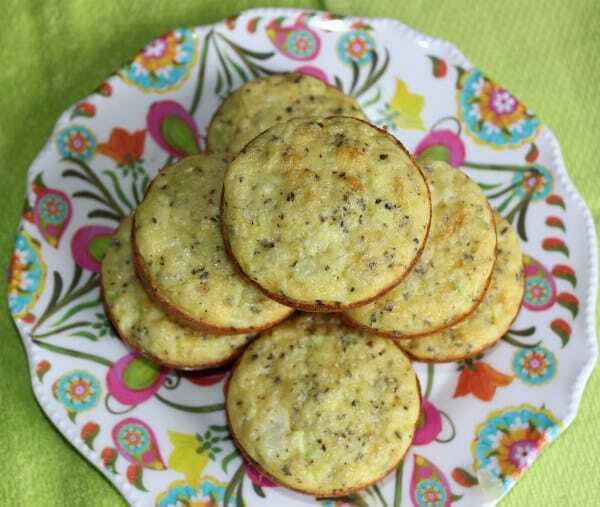 They’d be the perfect thing to prepare ahead and bake on a busy morning when you don’t have time to cook a full breakfast. Just chop the onions and zucchini the night before and store it in the refrigerator. Then the morning you make the muffins, just mix in the remaining ingredients and bake. What I tasted the most was the egg, cheese and onion. It was the perfect combination. I made the mistake of not buying fresh basil. 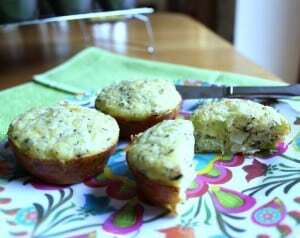 When I bit into the muffins, I could barely taste the dried basil that I used as a substitute. Using fresh basil would make a huge difference. Also, be careful with the salt. 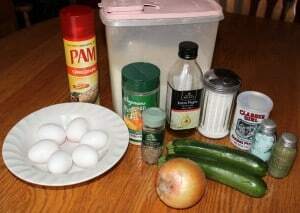 The recipe says to use kosher salt. I didn’t have that, so I used table salt. But 1 teaspoon was a little too much. Next time I’ll probably reduce it to 3/4 teaspoon. These Zucchini Quiche Muffins were a hit with my husband. Whatever we had leftover, I stored in the refrigerator and just heated a few up throughout the rest of the week for breakfast. 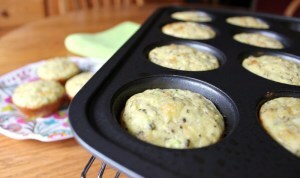 You can also store your leftover muffins in a muffin/cupcake keeper like this Snapware 2 Layer Cupcake Keeper. So who says muffins just have to be for bread? Quiche muffins are the way to go. AND they’re great for staying in control of your portion sizes. How many smart points would this be? Do you know many freestyle points? These are 1 SmartPoint per muffin.